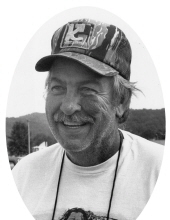 Willard Franklin Alfrey, age 84, of Knapp Avenue, Morehead, passed away Sunday, March 17, 2019, at St. Claire HealthCare in Morehead. Born August 4, 1934, in Chauncey, West Virginia, he was the son of the late Allen L. Alfrey and Eva Foster Alfrey. Besides his parents, he was preceded in death by one son, Paul Douglas Alfrey, who passed away November 6, 2016; four brothers, George Edward Alfrey, Harvard Clay Alfrey, James Allen Alfrey, and Andrew Jackson Alfrey; two sisters, Charlene Opal Alfrey and infant Letha Jane Alfrey. Willard is survived by his wife of 64 years, Shirley Patrick Alfrey, whom he married February 18, 1955; two sons, Donald Eugene Alfrey of Morehead and Dwayne Franklin Alfrey (Sueanna) of Clearfield; three grandchildren, Jenna Robles, Kristen Petschonek, and Tasha Alfrey; two great grandchildren; many nieces and nephews; extended family and friends. Willard was a U.S. Navy veteran serving his country from 1952 until his honorable discharge in 1956. A master electrician, he worked for Dow Chemical in Freeport, Texas, for several years as well as doing large scale electrical work in several states. He retired in 1980 due to ill health. Willard was an accomplished wood craftsman and built Kentucky long rifles, furniture, small wood crafts, and dulcimers. He enjoyed all of nature and the great outdoors. Funeral services will be conducted 11:00 a.m. Thursday, March 21, 2019, at Northcutt & Son Home for Funerals with Pastor Tony Wishon officiating. Burial will follow in New Alfrey Cemetery. Pallbearers: James Alfrey, Bobby Alfrey, John Quesinberry, Will Quesinberry, Jamie Brown, Kenny Hall, David Perkins and Nick Lytle. To send flowers or a remembrance gift to the family of Willard Alfrey, please visit our Tribute Store. "Email Address" would like to share the life celebration of Willard Alfrey. Click on the "link" to go to share a favorite memory or leave a condolence message for the family.